E. Robert Levy is an attorney in the firm's Financial Institutions Regulatory practice group. He is Executive Director of, and Counsel to the Mortgage Bankers Association of New Jersey/New Jersey Association of Mortgage Brokers. He is also the Legislative/Regulatory Counsel to the Mortgage Bankers Association of Pennsylvania and the Pennsylvania Association of Mortgage Brokers. Mr. Levy is also a founding member and instructor for the Academy for Professional Mortgage Originator Licensing, LLC, which prepares students for the mortgage originator licensing exams. 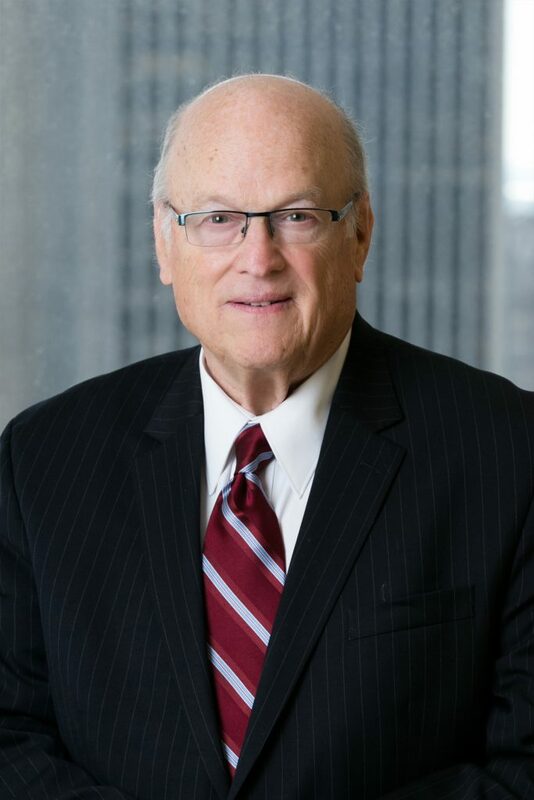 He was instrumental in the drafting and passage of the Mortgage Bankers and Brokers License Laws in both New Jersey (now the Licensed Lenders Act) and Pennsylvania, and assisted in drafting many of the mortgage banking regulations in New Jersey. Mr. Levy has been a regular speaker on the New Jersey Home Ownership Security Act and was involved with other industry representatives in lobbying the Bill that was signed into law. Mr. Levy serves on the New Jersey Licensed Lenders Advisory Board, which advises the Department of Banking and Insurance on legislative and regulatory matters. He also served on the Governor’s Transition Team for the Department, which advised the Governor regarding the structure and activities of the agency. Chair of the Advisory Council to the American Association of Mortgage Regulators (AARMR), Mr. Levy was a member of its Task Force, which drafted AARMR's Model Mortgage Bankers and Brokers License Compendium to be used as a guide by various states. He is also an instructor at the AARMR's National School for Mortgage Banking Examiners and was instrumental in establishing the school. Mr. Levy was a member of the Strategic Planning Committee of the Mortgage Bankers Association of America and was Chairman of the National Association's State and Local Advisory Council for two one-year terms. The Council represents all of the State Mortgage Banking Associations. In 2001, Mr. Levy was elected as a member of MBAA's Board of Directors and was re-elected to a second term in 2002-2003. Mr. Levy was Deputy Commissioner for the State of New Jersey, Department of Banking and was a State Deputy Attorney General, in which capacity he served as counsel to the Department of Banking and Insurance. A nationally recognized authority on the Real Estate Settlement Procedures Act (RESPA), he testified before Congress and HUD at RESPA hearings dealing with referral fees and is a frequent speaker and author on the subject and on licensing and regulatory matters affecting the mortgage banking industry. He is admitted to practice before the U.S. Supreme Court, the U.S. Court of Appeals for the Second and Third Circuits, the U.S. District Court and the Supreme Court of New Jersey. Mr. Levy is a graduate of Rutgers School of Law.